At least two shots were fired in and outside the shelter. Police said they recovered bullet fragments in an interior stairwell and a shell casing in a parking garage, where a shelter resident chased the suspect and fired at him. Officials at Seattle’s Navigation Center are reviewing security protocols after a man, armed with a gun, was able to slip into the homeless shelter Saturday night and threaten several clients before he was chased away by a shelter resident who then fired at him. 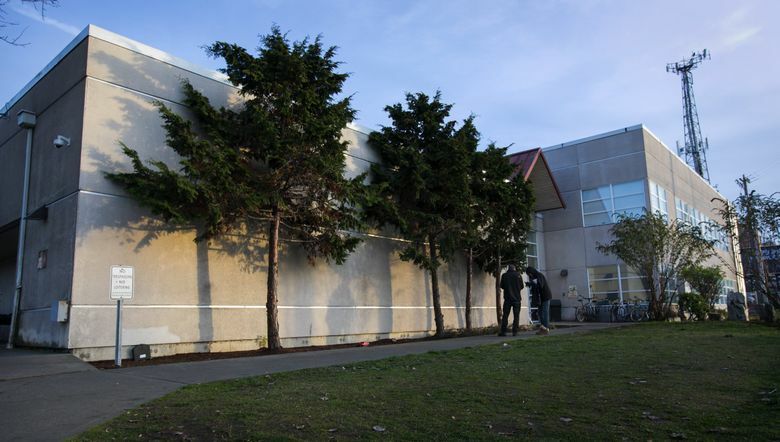 No one was shot, but a police report depicted a chaotic, frightening scene inside the 85-bed shelter at 12th Avenue South and South Weller Street in the city’s Little Saigon neighborhood. At least two shots were fired in and outside the shelter: police recovered bullet fragments in a stairwell and a shell casing in a parking garage, where the resident chased the suspect and fired at him. The building was on lockdown for at least two hours Saturday, as officers searched for the suspect inside the building, initially not knowing where he’d gone. “The incident itself involved multiple people. It’s still unfolding exactly who did what when,” said Daniel Malone, executive director of the Downtown Emergency Service Center (DESC), the nonprofit that contracts with the city to operate the Navigation Center. At least three people living at the center have been banned as a result of the incident, including a resident who staff believe helped the armed man get inside the building and the man who later fired on him as he fled, Malone said. A third resident, who brandished a knife at some point during the incident, was also kicked out of the center, Malone said. The armed man remained at large as of Monday afternoon. He was not a Navigation Center or DESC client. Malone called the incident “extraordinary” and said staffers will be looking at how to respond in the coming days, including reviewing perimeter security and revisiting an idea to install a gate around the driveway. “We’ve been reviewing the incident in order to get clarity on the facts, and we have a process that involves debriefing what happened with the people involved in order to first establish the facts and the timeline and then to discuss elements of what occurred that went well, that didn’t go well, (and) what implications there are for making adjustments to protocols, if necessary,” Malone said. That review process is likely to attract a great deal of scrutiny. The Navigation Center was the first enhanced homeless shelter in Seattle, providing clients 24/7 shelter, plus wraparound case management and services and also more lenient admissions policies. Couples can live together in the shelter, residents can bring in pets and clients don’t have to be substance-free. The system is designed to attract people living in the city’s unauthorized tent encampments, who are often more resistant to shelter, and then accelerate their exit into permanent housing. Meg Olberding, spokeswoman for Seattle’s Human Services Department, said city officials have been in contact with Navigation Center staff about the incident. The center received $1.9 million in city funding this year and is slated to receive more than $2 million in 2019. Sometime before 9:45 p.m. Saturday, a Navigation Center resident let the armed man in through a side entrance on the lower level of the building, unbeknown to staff, Malone said. Visitors are not allowed at the Navigation Center. Although the residents can come and go as they please, staff must buzz them in through the locked front door, Malone said. The armed man made his way to the second floor and entered one of the sleeping rooms, where at least five people were inside, according to a police report. The man ordered the residents to get on the floor and demanded their property, police said. The report did not indicate whether the armed man actually collected any money or items before he turned to leave. At that moment, according to the report, one of the center residents hit the man in the head with a toaster. The resident then followed the man into the hallway and into an elevator, where the armed man pistol-whipped him in the back of the head. Video surveillance captured footage of the resident falling back out of the elevator, the police report said. Footage also showed another shelter resident chasing the armed man into the parking garage and firing at him, though the suspect managed to flee. It is not clear where the resident obtained a gun — weapons are not allowed at the Navigation Center. It wasn’t immediately known whether the resident may have taken the weapon away from the gunman, Malone said. Three staffers were working when the incident unfolded, but one was on break, Malone said. They were unaware an intruder was in the building until they heard a commotion and clients alerted them that someone had a gun, he said. The Navigation Center does not employ security guards, but all staffers are trained in safety and security protocol, said Malone, who said he could not recall a previous event like this at a DESC facility.